Where can I use Vengo? Vengo is a community of Flemish independent drivers and carriers. If you are looking to ship something, then you can call on them to get your goods quickly and easily to the correct destination. They can take along your shipment on their daily routes, or reserve their vehicle completely for your transport. The affiliated drivers pass through all of Belgium every day, and as a result, they are regularly close to where your shipment needs to be collected or delivered. They also cover the Netherlands, Western Germany and Northern France. Looking even further beyond the horizon? No worries, Vengo already found a perfect match between shippers and drivers in other places including Berlin, Marseilles and Alicante. 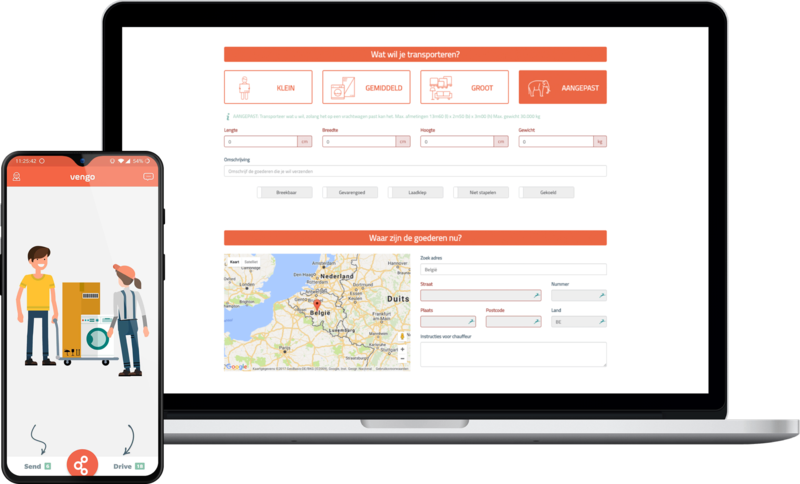 So, create your shipment online through MyVengo or get started with the Vengo-app! Discover the latest tips, news and facts, and get the most out of Vengo.